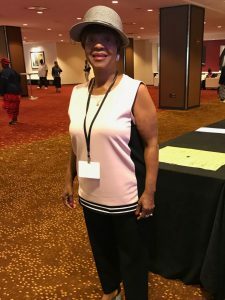 Your loved one or yourself is already gone but someone else, another person, they can actually live,”Pastor Gloria Newsome-Brickhouse wasn’t always an organ donation advocate. In fact, organ donation wasn’t really on her radar until a deacon at her church invited her to attend a seminar for the blind about 10 years ago. At that moment, Newsome-Brickhouse became an activist for organ donation in the African-American community. 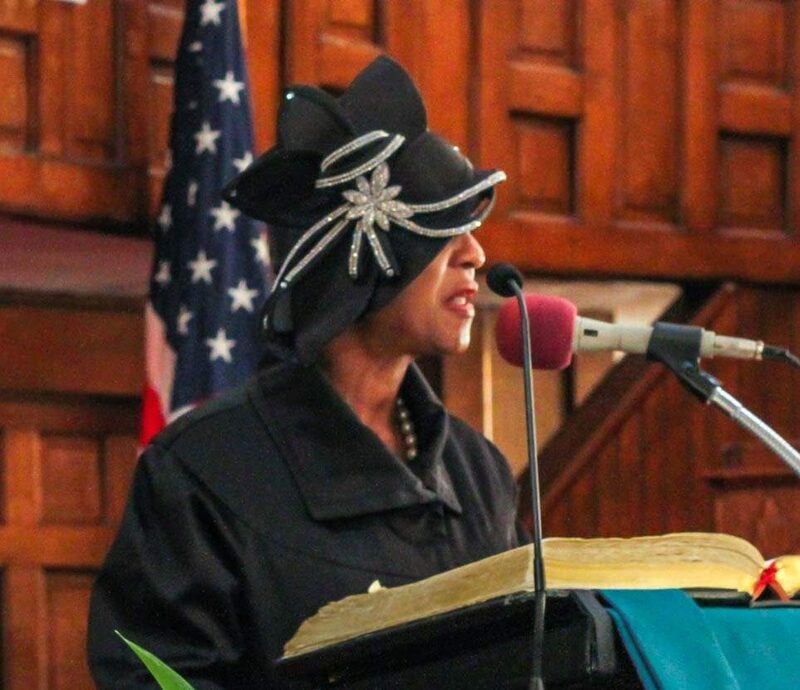 And as an associate pastor at First Baptist of Norfolk, she’s in a good position to help. 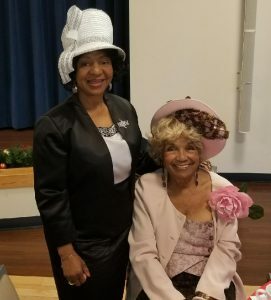 Pastor Newsome-Brickhouse and a member of her congregation. African-Americans make up only about 12 percent of the U.S. population but they make up almost 34% of the kidney transplant waiting list. And organ donations among the black community are considerably lower than white donations – five times lower in some years. Ever since she became aware of the problem during the seminar for the blind, Newsome-Brickhouse has been working to turn the tide. “You have to teach people about what is true and what is false,” she said. For instance, Newsome-Brickhouse said she didn’t realize herself that medical issues don’t necessarily preclude you from becoming an organ donor. The other major misconception that Newsome-Brickhouse deals with is the belief that once a person dies, their body will be treated disrespectfully if they are an organ donor. “They say ‘we don’t do that. I tell them ‘it’s going to be used for someone else.’ You have to help them understand that. Your loved one or yourself is already gone but someone else, another person, they can actually live,” she said. One of Newsome-Brickhouse’s avenues for outreach is National Donor Sabbath. The annual event is observed two weekends before Thanksgiving, from Friday through Sunday – the days of worship for major religions in the United States. On National Donor Sabbath, faith leaders, donor families, transplant recipients and medical professionals participate in religious services and programs all over the country to educate the public about organ donation. Part of the point is for faith leaders to assure their congregations that all major religions now encourage organ donation. It’s also a chance to let communities hear first-hand about the impact donors have on the lives of their friends and neighbors. Newsome-Brickhouse said that after hearing the presentations, between 18 and 25 people usually sign up to become organ donors at First Baptist’s annual National Donor Sabbath service. “It’s a wonderful opportunity to talk to people about what a difference they can make,” she said. Newsome-Brickhouse also talks to children. First Baptist sponsors READY Academy Christian School for children in pre-K through sixth grade. The children all needed parental permission to participate and parents were invited to attend as well. “A lot of parents came and afterward, many of the parents signed up to be organ donors,” Newsome-Brickhouse said. Newsome-Brickhouse doesn’t just work in her own church though. She’s a frequent speaker at other churches, taking her message to any group that will have her. She was also a speaker last year at the 2016 Faith Summit. The two-day event is held in Virginia each year to increase faith leaders’ understanding of the organ, tissue, and eye donation process and the life-giving benefits of transplantation. The goal is to create a dialogue between faith communities and the transplant organizations to better equip participants in becoming informed resources for their faith community. This year’s event was held in October and included the perspectives from Muslim, Jewish and Christian leaders, as well as medical professionals and donation advocates. Newsome-Brickhouse also has a new tool to work with as she takes the message forward. She recently saw the 2017 movie “A Question of Faith” in which a child is killed by a car and his father, a preacher, finally decides to allow his organs to be donated. The decision saves the life of another child and the two families become intertwined and united through the gift. Getting the message out is really just a matter of getting out yourself, she said. People don’t know if you don’t tell them and remind them. But wherever she goes and whomever she talks to, the bottom line is always the same: “You’re giving life to someone else. That is an awesome gift,” she said. Organ, eye and tissue donation saves and heals countless lives. Sign up to become a donor today.